Contact lenses need protection. Without a case, they are left open and vulnerable to the elements, which are then unsafe for your eyes, between dirt, dust, bacteria and other unknown particles; these are all things you would not want to insert into your eyes. When in contact with your bare eye, these specific elements could cause infection, sty’s’, abscesses, ulcers and other detrimental consequences for your vision, which is altogether, an unpleasant experience. In this article, we will discuss why contact lenses need cases, who manufacture them, what they are made of and different fun facts about the cases in general! Why Do You Need a Contact Lens Case? 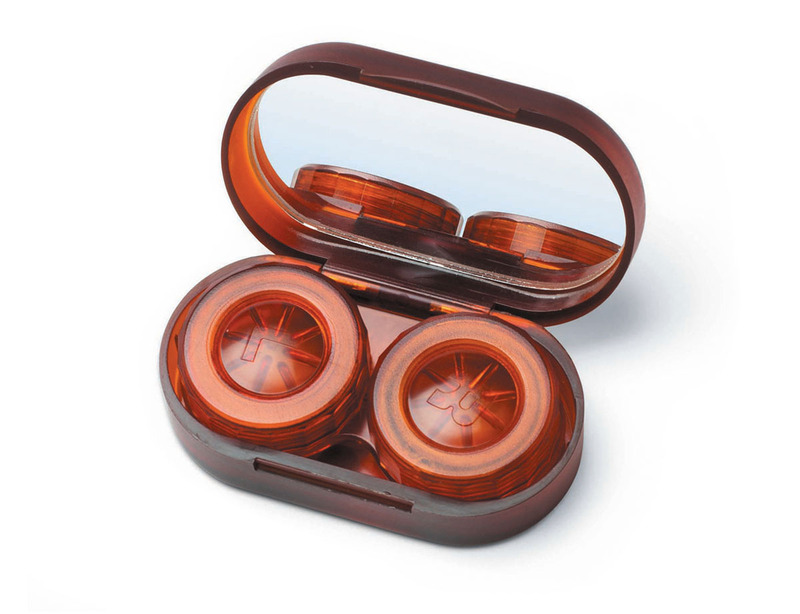 The importance behind a contact lens case is indescribable through just a mere paragraph of text, but to cover a few bases; without a case, where exactly would you store your contact lenses. Contact lens companies and contact lens case manufacturers will create and provide several hundreds of types of cases all the time, all meant to hold contact solution and your lenses, serving to keep them clean, moisturized and not to mention safe. Without these cases, your lenses would be exposed to the elements, exposing your lenses and putting your eyes at risk for serious infection and unsafe hazard. Contact lens companies prefer their delicate product be kept safe in gentle material; therefore, the products the cases are made with must be durable and sturdy, but gentle enough to hold something being placed on the most sensitive place on your body. Typically made from a softer plastic or harder rubber, the cases are lined with a smooth coating to make sure your lens do not stick and rip. Because contact lens companies make their lens durable, the cases tend to be made from hard plastic, but can range from hard plastic, to rubber, soft plastic or rubber, they can also have regular flat caps, designs, shapes, colors, a whole variety of different type of lids, and casings. Who Makes Contact Lens Cases? There are a variety of companies that makes cases for contact lens companies, such as Optipak. Optipak specializes in making cases out of the ordinary for those who like things a little out of the usual. From leather mirrored cases, to rubber-boarded cases and decorated cases. They have a case to suit the need of every person. Other companies may also specialize in cases such as making animals, flowers, and other cute designs. If there is something special you are in search of, simply look for it and you will more than likely find it! These days, finding something special is not hard to do, and if it is, online websites like OptiPak offer it for cheap. They even have an option to customize their products for your every desire! Now you can combine functionality with desire, design, and style. There is not much else you can ask for from your contact lens companies and contact lens case manufacturer. In conclusion, contact cases are an extremely important part of owning lens and knowing who manufactures your cases could be beneficial for more than one reason! From knowing for style/design reasons, to knowing for product/quality reasons, it is always great to know where your stuff is coming from.